Author(s) William S. Pfeiffer Adkins, Kaye A. 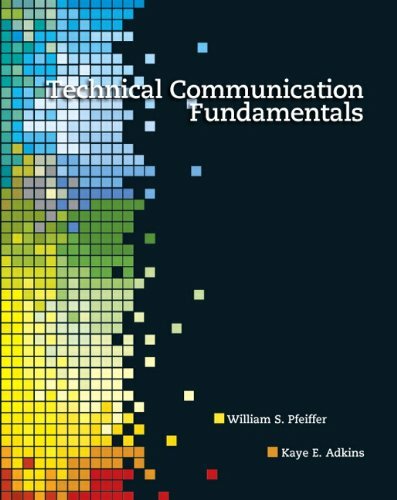 Technical Communication Fundamentals presents proven writing strategies in a format that is concise and easy to use. Designed for flexibility, the book is supported by MyTechCommLab, which provides 90 model documents, 50 interactive documents, tutorials, activities, and case studies all on The Web! Using numbered guidelines, an ABC format and annotated samples, the book immerses students in the process of technical writing, while teaching practical formats for getting the job done.